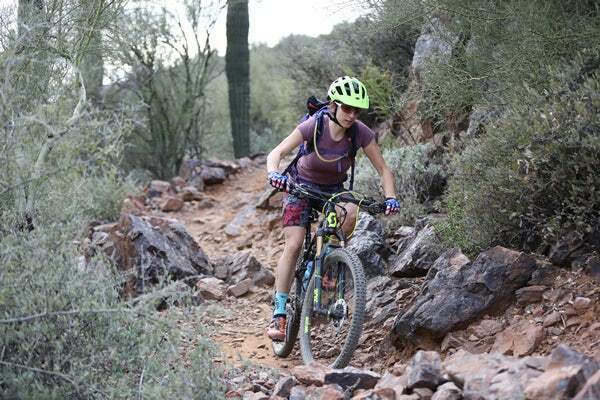 Sonya Looney raced her first full season as a pro mountain biker in 2006 and has been a vital part of this elite community since. Her love of cycling actually began with spin classes at the gym and when she started cross training for marathons. She learned that she loved the sport and hasn't looked back since. She will be using the KICKR and KICKR SNAP Smart Trainers this season as well as other Wahoo products to support her training sessions. "I live in Canada (although I am American!) and winter is a major challenge. We spend a lot of time riding indoors due to snow and extreme cold. This winter, I have some big goals. I'll be defending my 24Hr Mountain Bike World Champion Title in February in New Zealand. It's their summer so I need to keep working on my form! I'll be doing my intensity on the KICKR and am really excited to have the best technology right at my feet!" A: I love Wahoo's company culture and innovation. I've never seen a heart rate strap with so much functionality! I also can't wait to start using the ELEMNT. It's hard to reinvent a product in a category, but I think Wahoo has nailed it! I believe that people make the brand and I think Wahoo has a talented dedicated team working there! Q: What's your greatest accomplishment to date? A: I love the adventure of mountain biking. It doesn't feel like training, it feels like playing in the forest or desert! A: The things I sometimes have to give up. I have lots of hobbies and I'd love to spend more time playing guitar and continuing to learn the languages I've been working on! I also sometimes would love more free time to spend with friends but I do my best to find balance. A: Yep! My necklace; it's a Koru symbol. I've worn a Koru for the last 7 years at race events. In Māori art, it symbolizes new life, growth, strength, and peace. I really connect with it.